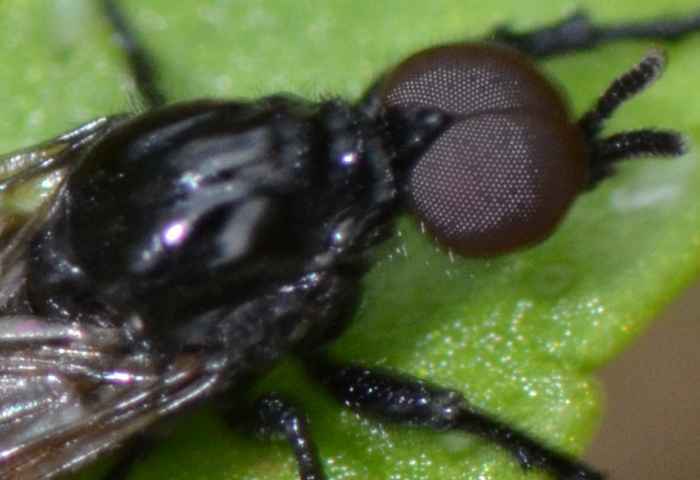 Dilophus sp. (March Fly (nonspecific)) ♂. Size: approx. 10 mm. Photo: 12/26/11, 2 pm. 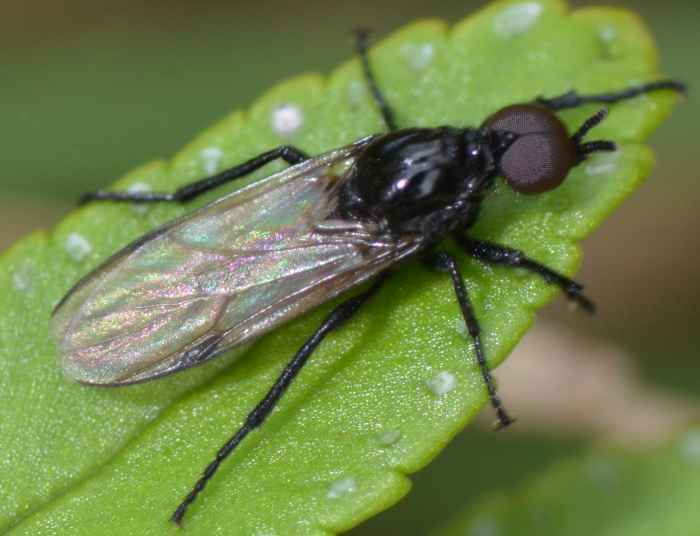 This march fly is Dilophus sp. which can be an important pollinator in orchards and the exclusive pollinator of some forms of orchids. The infamous lovebug (Plecia nearctica) is in the same family (Bibionidae).